Something new that I will occasionally be adding to my blog is the iRate section. This section will contain reviews about new products, companies, adverts, basically anything that I see and I think you should know about. Every product etc that will be reviewed will receive a honest and fair rating – if its good I will tell you, if it is bad then trust me, you will know about it. 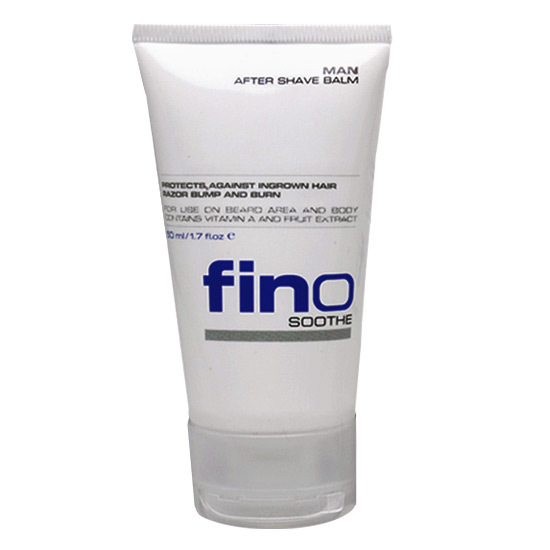 The first up for review is Fino Soothe Man, a locally made after – shave balm. Let me first tell you what they say before I tell you my opinion – Fino Soothe Man contains a special blend of vitamin A and Fruit Extract that gently exfoliates, purifies, revitalises and helps improve skin elasticity. It can be used anywhere on the body after any form of hair removal. I used it on my face after regular shaving…just to clear that up. I must admit that I like this stuff. They are telling the truth that it soothes the skin after shaving, you are not left with that harsh burning feeling (even after dry shaving) and by the time you have left the bathroom, it has already absorbed. I also like the fact that it is not excessively runny (like my previous after-shave was) and applies very easily. Only a tiny bit is needed to cover the whole shaving area so it will probably last you forever. Even though it claims to exfoliate the skin and contain fruit extract, it feels really gentle and has only a faint scent which I like because I do not want my face smelling fruity all day. It must also be said that after shaving in the morning, my skin still felt moisturised and smooth after night fell. So to recap – It feels good, smells good, applies well and last long. Over all rating – iRate I like this! Remember that fathers day is coming up soon (21st June) and this is really a damn nice gift. Click the banner below to see this as well as other great stuff for guys from Mantality.co.za – a one-stop-shop for South Africa’s urban man.